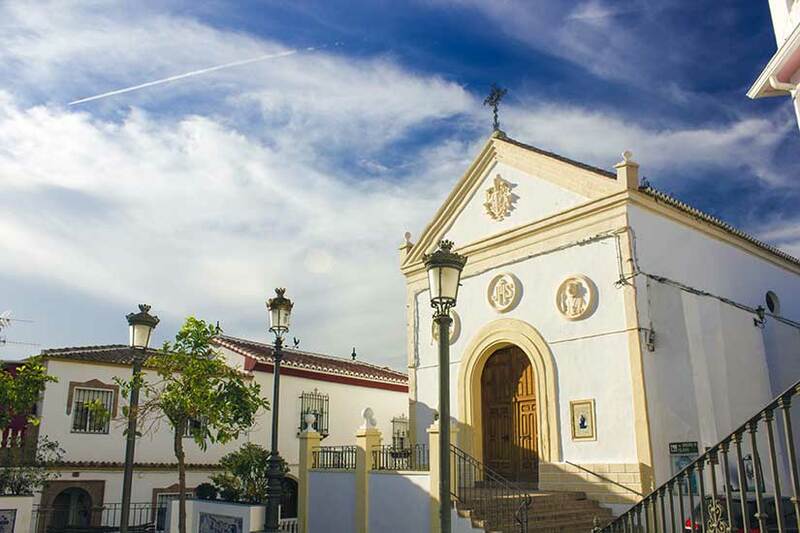 A small village of Arabic origin in the Axarquia region, built on the moutain of the same name, whose landscape is typical of the region, with large quantities of almond and olive trees and vineyards. As in all of the region’s villages, the friendly character of its people is Iznate’s greatest treasure. It is unclear exactly when Iznate was founded, though the layout and structure of the village point strongly to the Andalusi-Arabic period. According to Dozy, a hamlet close to the village of Hins Aute was the birthplace of the famous muladí (Christian convert to Islam) rebel Omar Ben Hafsun (879), who provided stiff opposition to the Caliphate of Cordoba for a number of years. After the capture of Velez Malaga in 1487, the village came under the control of the Catholic Monarchs. At the start of the 16th century, the village, like many of its neighbours, was the scene of successive waves of migration of moriscos (Moslem converts to Christianity) who, in the face of the harsh living conditions that they were forced to endure, left for North Africa and Tunisia. The moriscos who continued to live here saw their situation worsen constantly, until in 1568 and 1569 they staged a series of uprisings which ended with their definitive expulsion in 1570. For several years, the village was practically uninhabited; in 1574, it was repopulated via the distribution of land carried out by the academic Pelaez on the orders of Philip III. Its new inhabitants came mainly from Antequera and Estepa. One of the most serious episodes in the recent history of the village was the outbreak of a phylloxera-induced plague at Indiana farm in Moclinejo, just 6 kilometres from Iznate, in 1875. In next to no time, the economy of the whole region, which was based primarily on vine cultivation, was in ruins. The village and its municipal area were also affected by the major tremor known as the Andalusian Earthquake on Christmas Day 1884; extensive material damage was suffered.